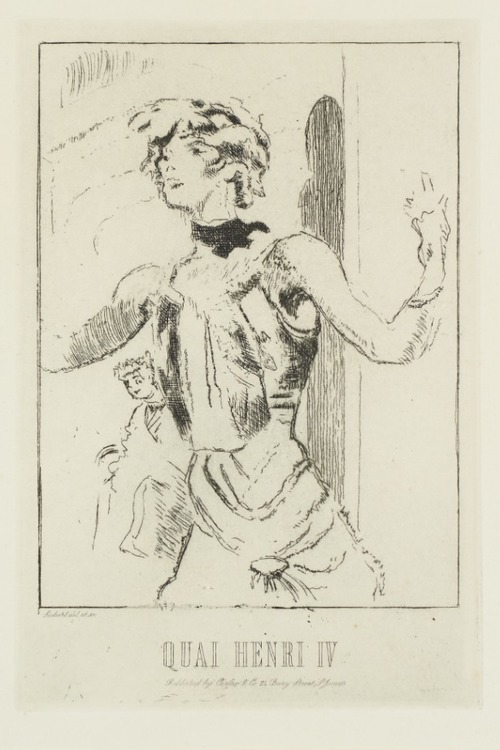 This etching portrays an unidentified female singer in Vernet’s cabaret café on the Quai Henri IV in Dieppe, a fashionable seaside town that Sickert visited regularly. 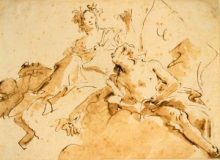 While there, he is known to have frequented Vernet’s every evening, before the casino opened at midnight, sketching the performers and audience members. The popularity of cabaret cafés in France rose during the early 20th century. They offered food, drink and entertainment such as magicians, singers and music. The print was published by Carfax & Co.